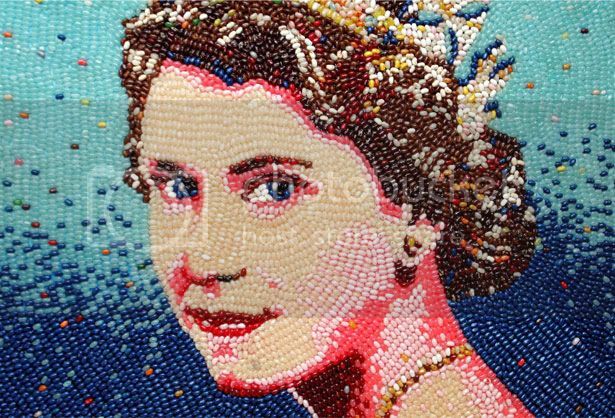 Whilst one of the usual means of expression for an artist includes the use of paint, there's a growing school of creatives getting their hands well and truly dirty by composing portraits using an array of tasty tidbits - including toast and jelly beans. 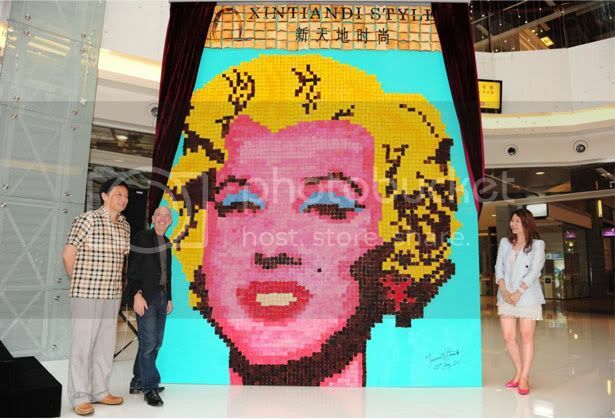 The latest foodie to have joined this club is New Zealand artist Maurice Bennett, who has rustled up an Andy Warhol-influenced portrait of Marilyn Monroe made from 6,000 pieces of toasted bread. 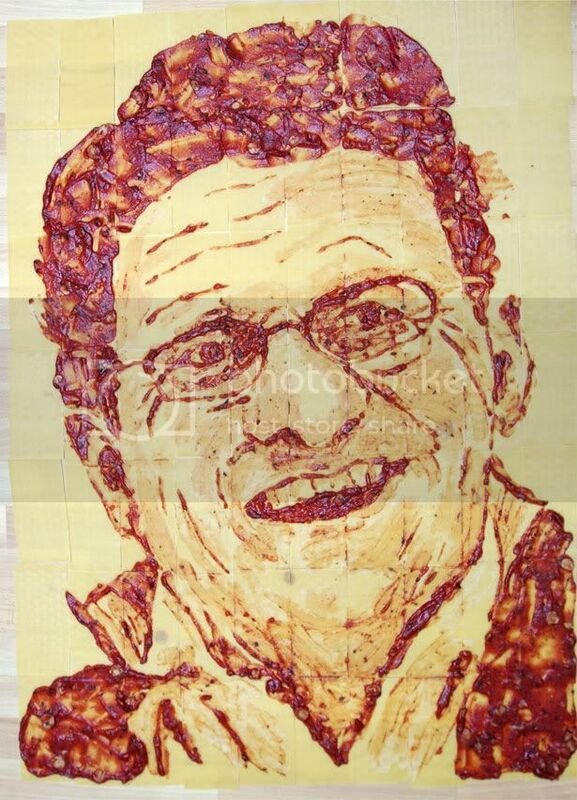 "I took Warhol's work then completely re-shaped and re-interpreted it so it worked in the very different medium of toast," he explained. 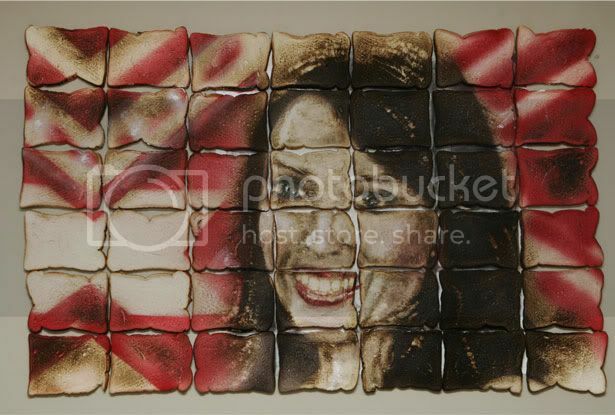 "For the first time, I have used paint on a major toast art work to add highlights and clashes of colour." Whether greats such as Picasso and Dali would approve of this surreal method is hard to tell; but it's certainly proved a hit in the ever-evolving world of cult art. 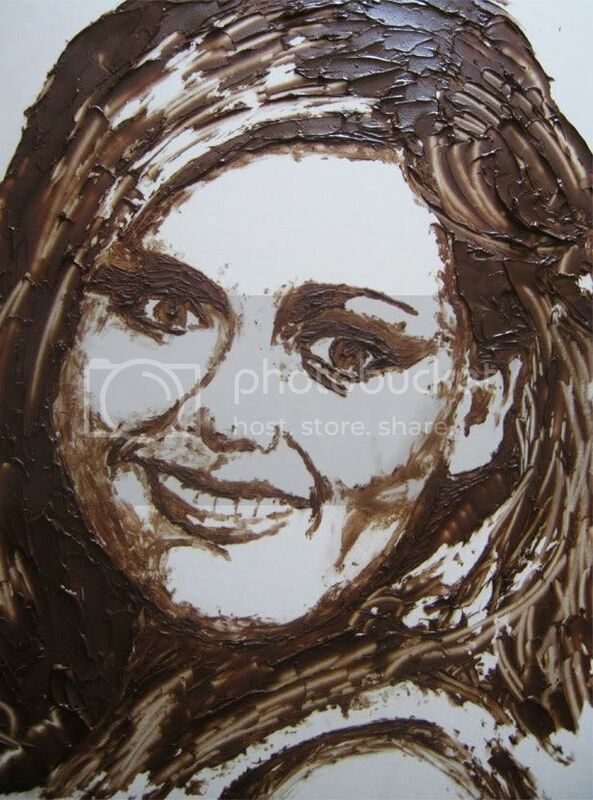 And Monroe is in good company - Queen Elizabeth II, Dannii Minogue and Simon Cowell are among the other famous faces that have been lovingly brought to life with foodstuffs. And when we say "foodstuffs" we really do mean a random array of grub - including lots of toast, nutella and even lasagne. 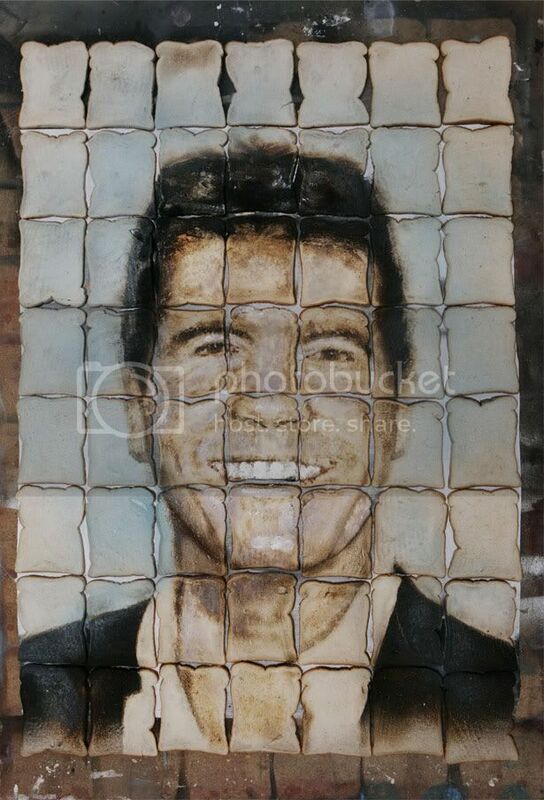 ABOVE: A portrait of X Factor judge Simon Cowell made entirely out of toast, by artist Lennie Payne for Warburtons Bakery.